If you have read through all the comments, you will notice a definite trend: most of you are very excited to have the clear stamp option. 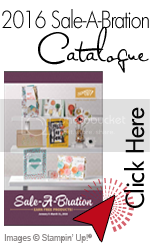 Everyone loves their Stampin’ Up! wood stamps but are thrilled that they are now offering stamps sets for clear blocks. I’ve got to be honest here and say I, for one, was not excited about this option. I had tried acrylic stamps with clear blocks a few years ago and hated them. They took way to much energy to use and I’m a pretty impatient crafter – I do not want to be slowed down by having to carefully peel off an acrylic stamp from its backing, then carefully place it on a block, ink, stamp, clean, then carefully remove from block and replace it on its backing. I’m tired from just typing that let alone actually doing it!! I’m am so glad I decided to invest in the clear blocks and some stamps sets from the new Occasions Mini Catalogue. I am so excited to show my customers this month just how wonderful they are to use. 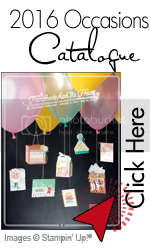 Available in the Occasions Mini Catalogue and the 2010 Sale-A-Bration brochure, we are offering our exclusive stamp in BOTH traditional wood mounted and new clear-mount sets. The new clear-mount stamps are the result of extensive research with the intent to maintain the very best image quality (because that is what makes Stampin’ Up! so great), while at the same time offering the ease-of-use and storability of clear-mount stamps. same high quality rubber and foam you expect from Stampin’ Up! So, thanks again for all your comments – they helped in persuading me to “make a change and try something different.” I’m glad I took your advice! Congratulations to Anne Matasci from Hawaii – she is the “UStamp with Dawn and Friends 2010…with love” pass winner. See you at UStamp Anne! !